Today was a little under 24 miles around a 7:30 min/mile overall pace so nice and easy. The team met up at 6:00 and got 8 miles in before another 16 with the rest of the Rogues at 7:00. I decided to try the Mizuno Musha during the first 8 miles. 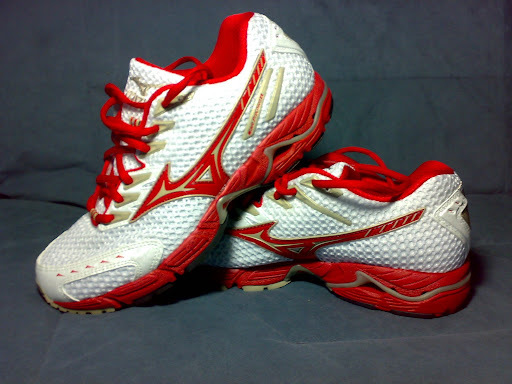 The Mizuno Musha are racing shoes, very light with just a little support, and should be great for racing a marathon if my legs can handle them. The first 8 miles of the run went well with them on, it was a very different feel and I could tell that they didn’t have any cushioning so they would not be good trainers. They’re very flexible and responsive so they should feel good to run in at faster paces but aren’t quite right for the more plodding motion of easy runs. I’m also going to give the Brooks Green Silence a go and decide if either of these shoes will be my racing shoes, ideally for the marathon but if not then for some shorter distances. I’m positive they will not suit me for everyday training shoes. This week should end somewhere around 70 miles, it would have been closer to 80 but getting a cold over the weekend made me miss a couple of runs this week. 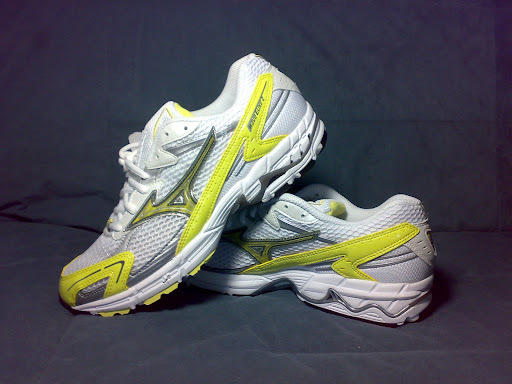 This is a continuation of my earlier review of the Mizuno Wave Elixir and it’s comparison to the Mizuno Wave Precision. It feels like (I haven’t made any measurements) that the tow box in the Elixir is a little more tapered than the Precision. I only experience this in my right foot, which is a little bigger than the left (more room up front in right foot). The outer most toe seems to get pinched a litle in the Elixir but not in the Precision. If I don’t pay attention to it then it seems to have a chain effect to the other toes where the middle toe kind of is over the second toe and that can cause some issues. The fix for me has been pretty easy, when running just focus on the spreading the feet out and that seems to solve the “pinching”. So, it’s probably not really pinching but my feet feel a little more constricted and so the toe just is makings its own adjustment … which seems to be easily re-trainable. As I finish writing this post I’m getting a little worried about my sanity and turning into a hypochondriac. Need to find something else to think about when I’m running soon.